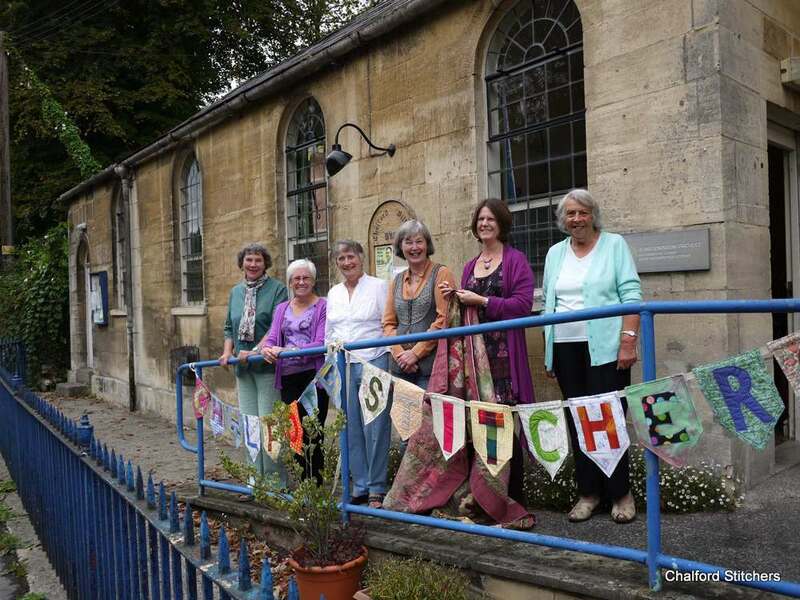 Chalford Stitchers outside the village hall. 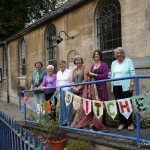 Photo by Beresford. 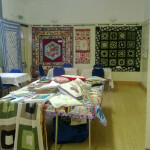 The show all set up and ready for visitors. 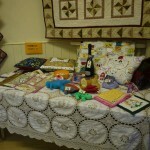 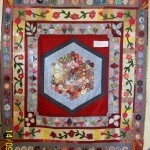 The quilt we made as a group then raffled. 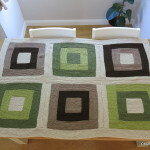 Zigzag borders make a change from straight ones but are much harder to do! 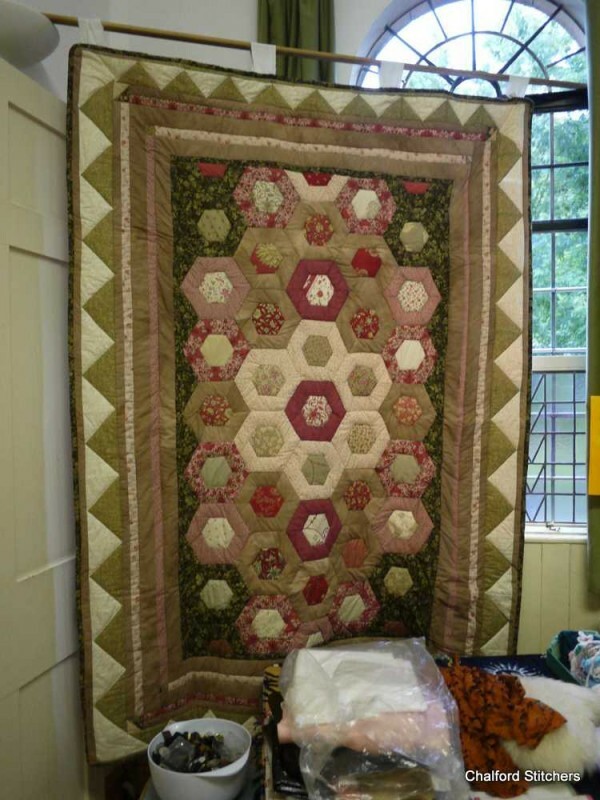 Part hand stitched and part machine stitched, this quilt took nearly 2 years to make. 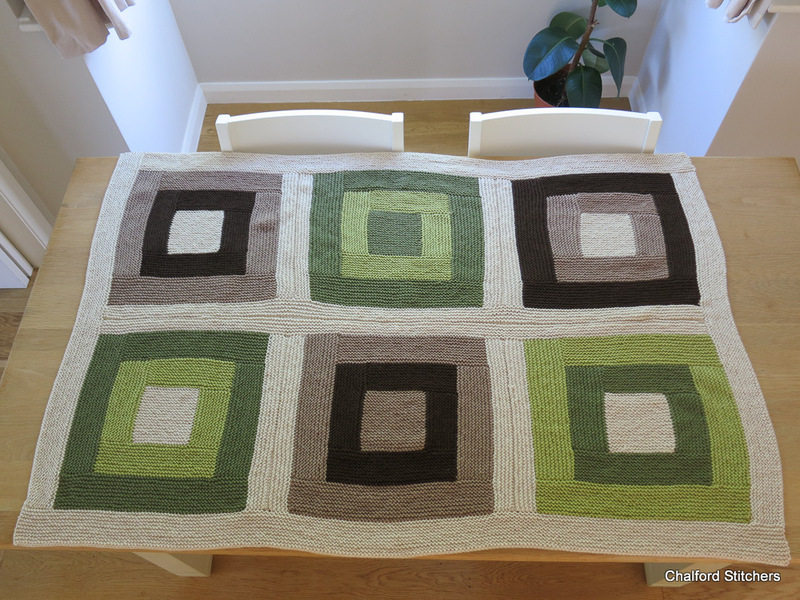 A grey background makes these colours zing. 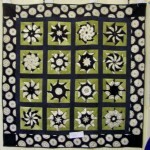 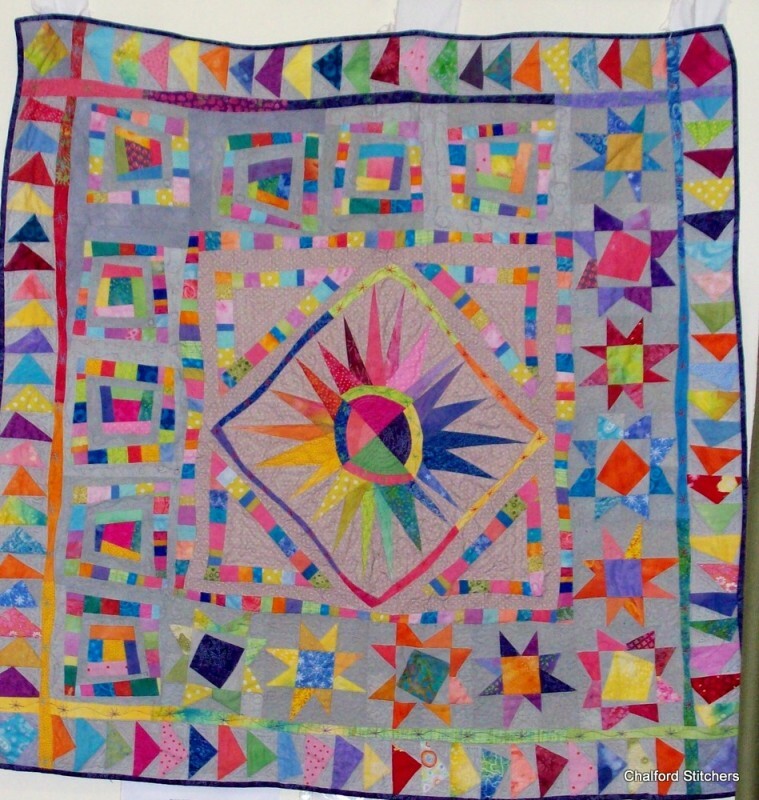 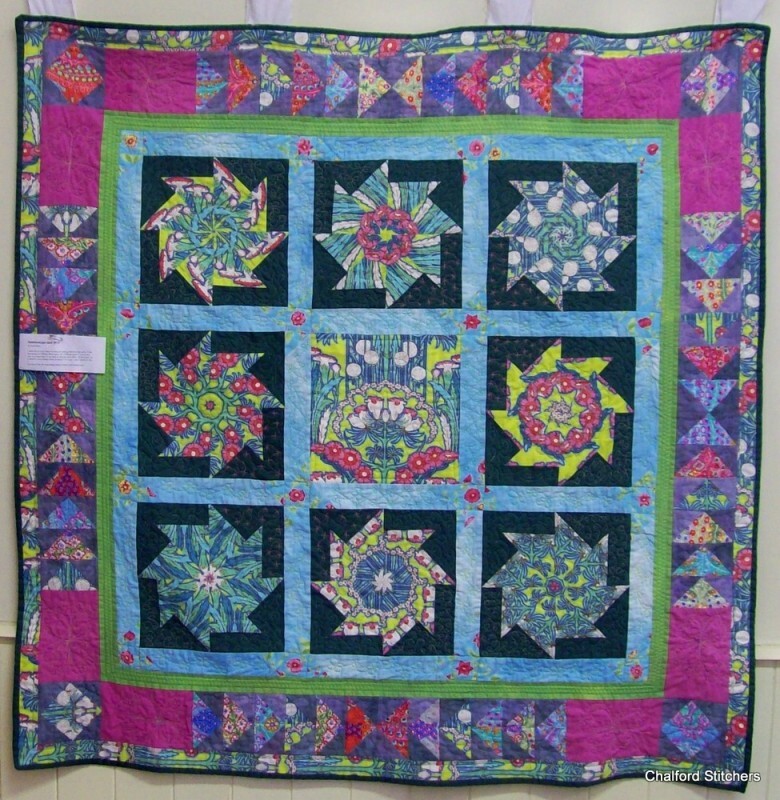 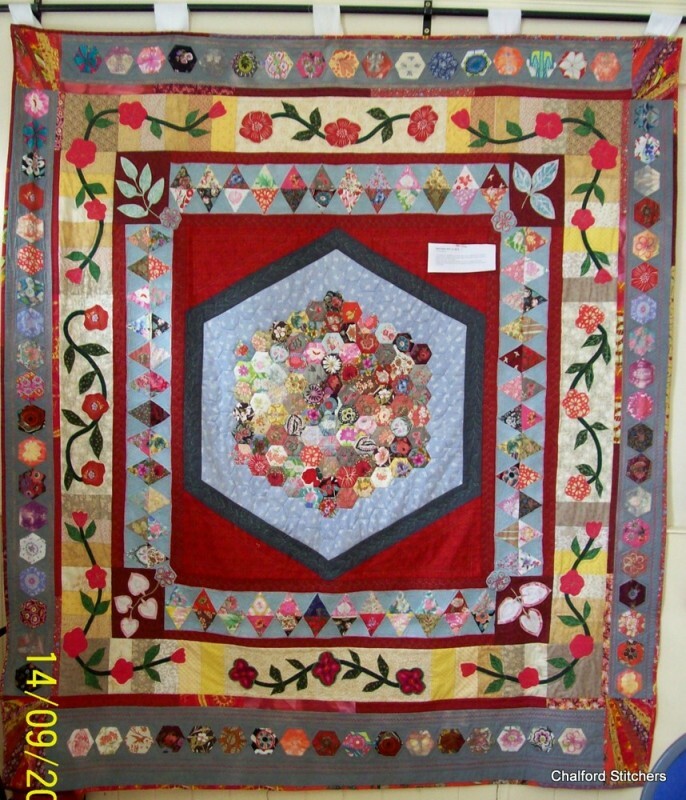 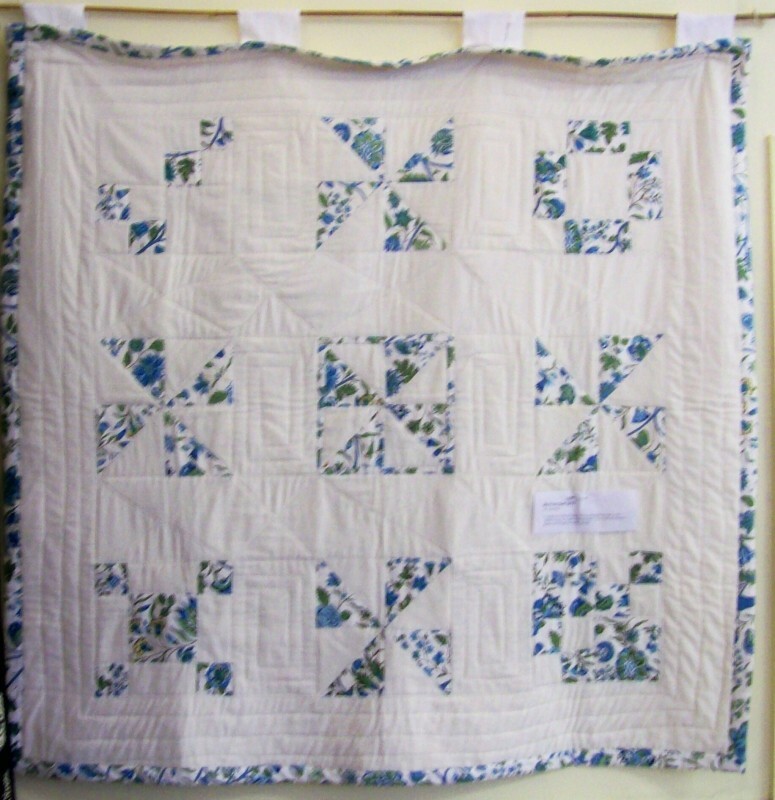 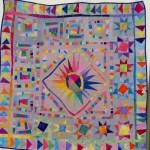 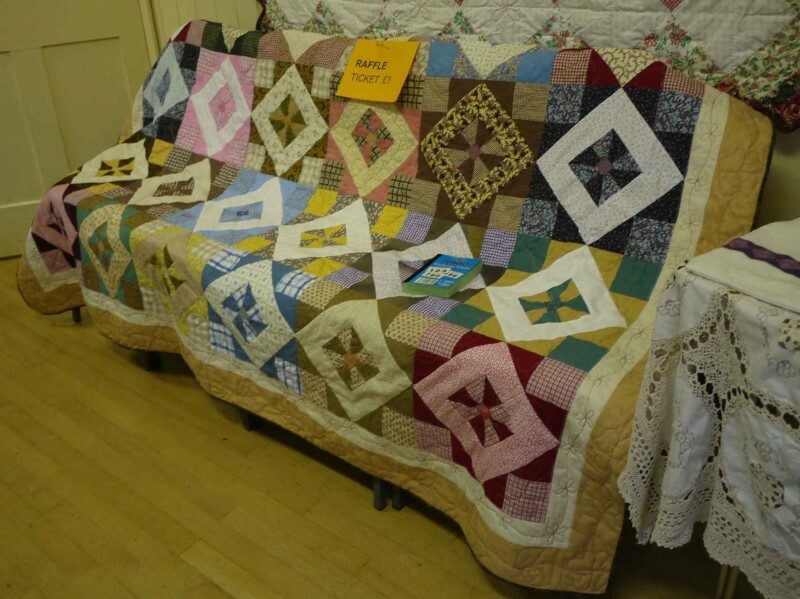 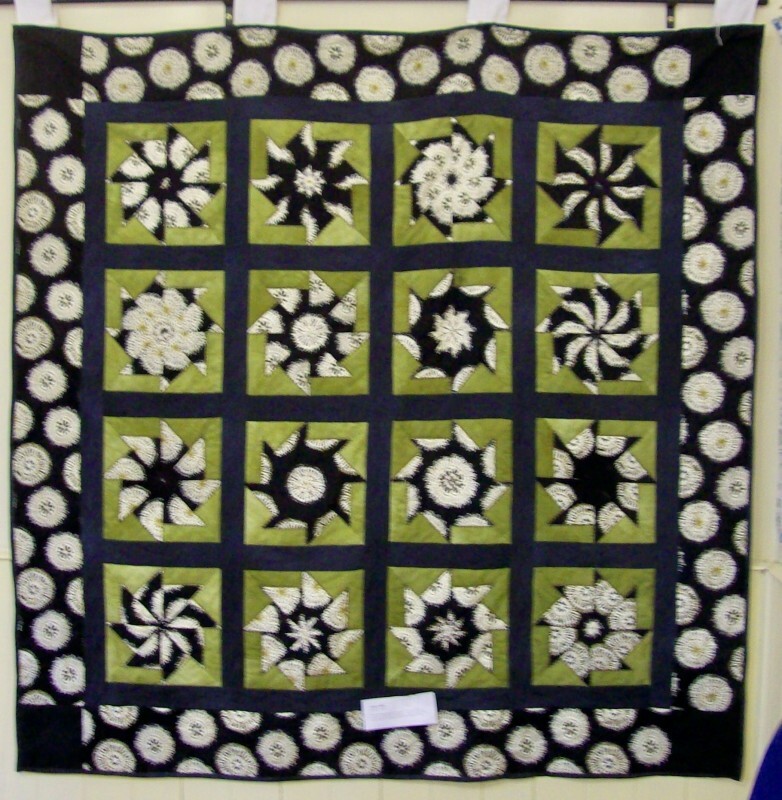 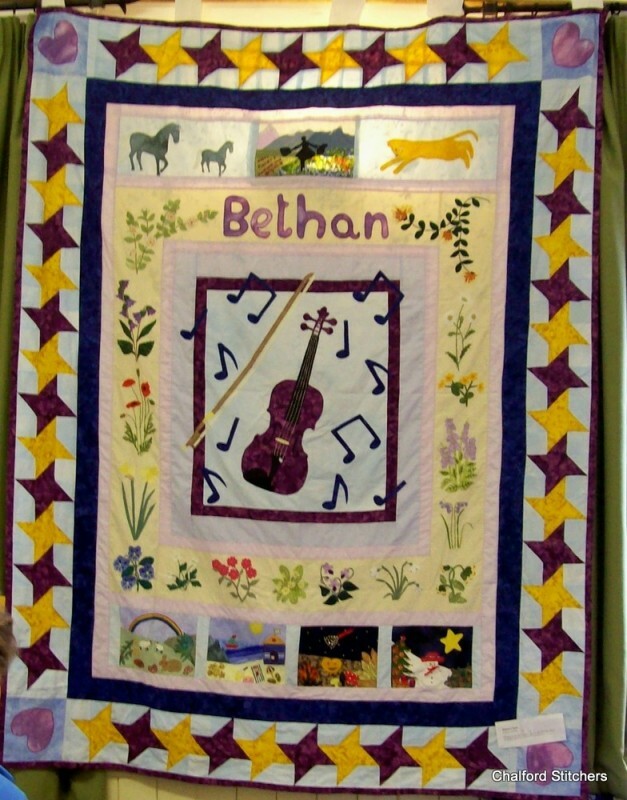 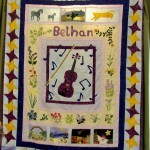 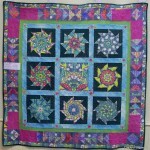 A quilt designed by a granddaughter and made by a grandmother. 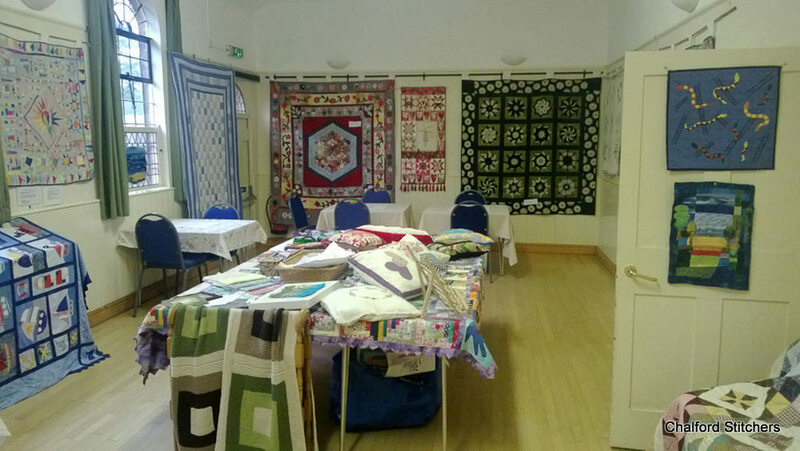 A hanging started at our workshop in January 2013. 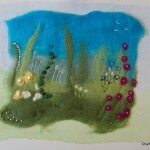 Felted wool makes a flowery picture. 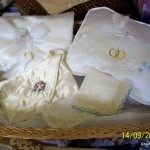 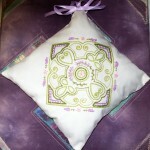 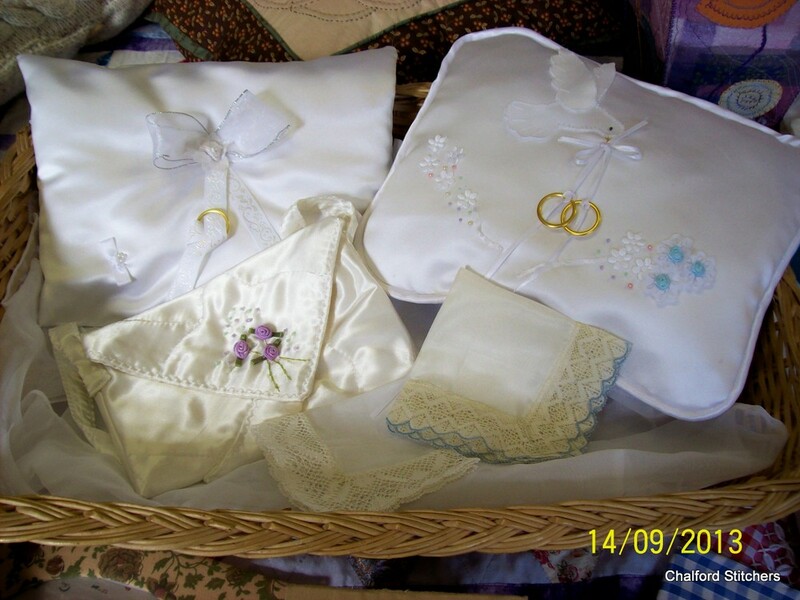 Embroidered and stitched ring cushions. 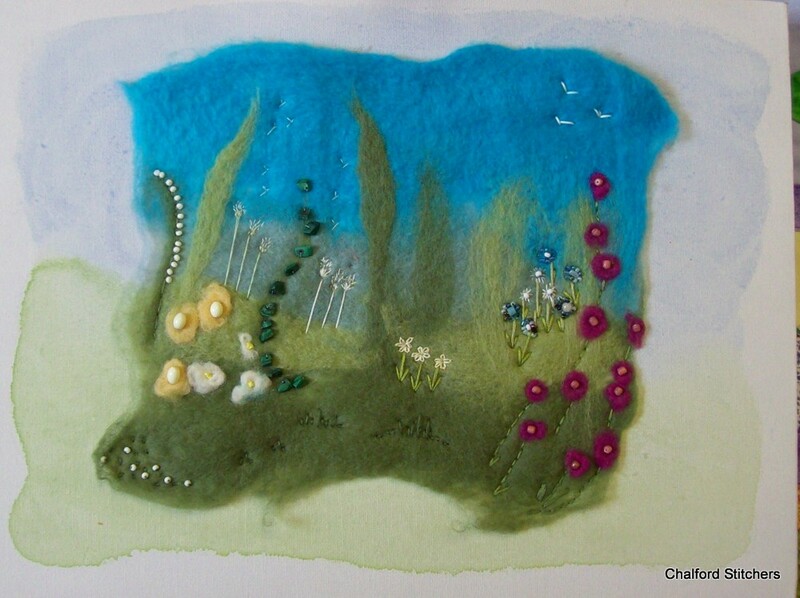 Some of these lovely colours are achieved with home dyeing using tea and walnuts. 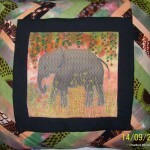 A beautiful piece of hand embroidery. 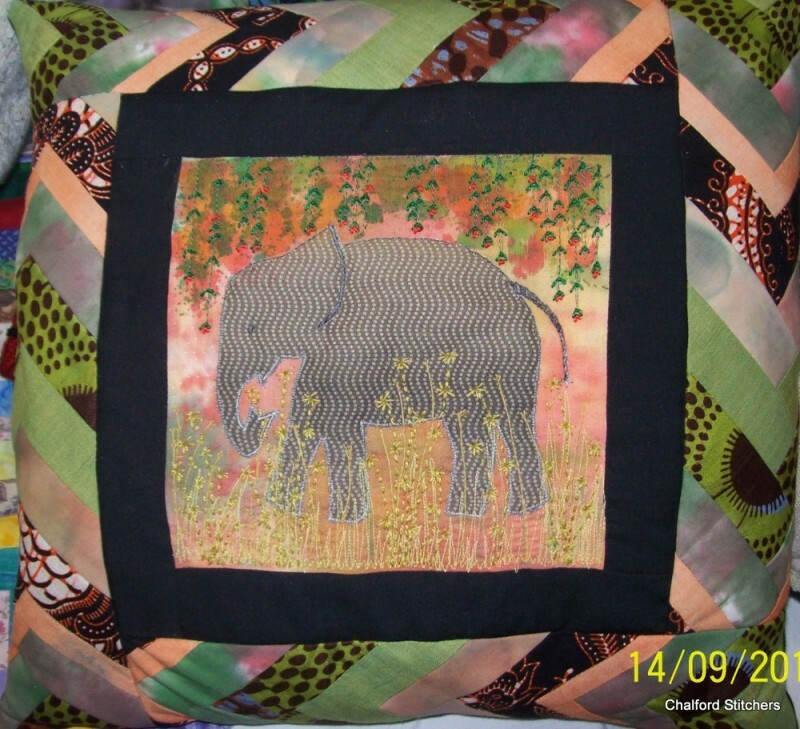 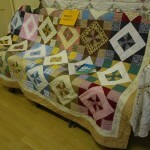 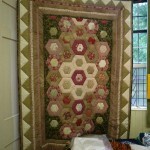 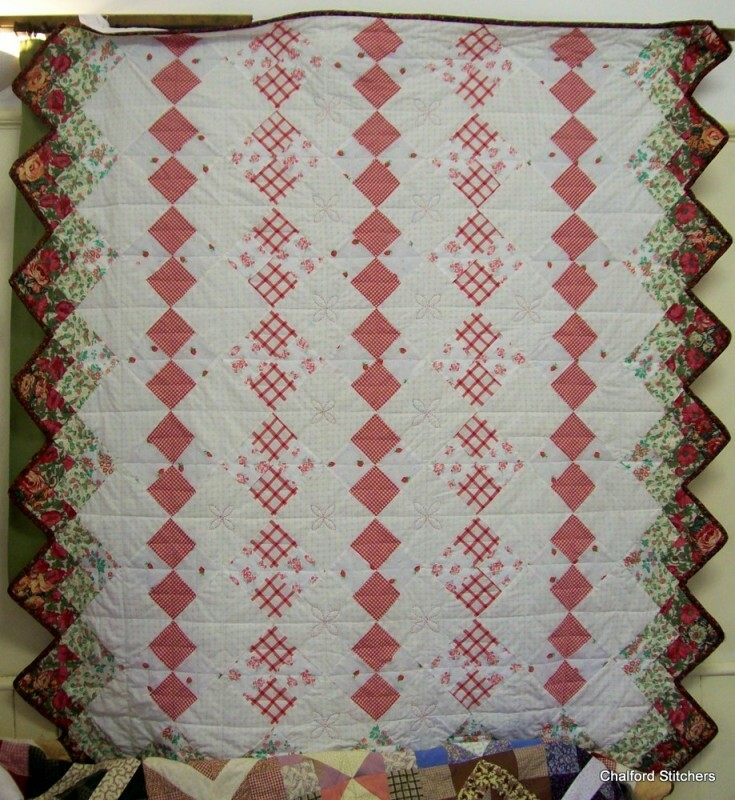 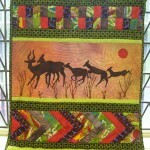 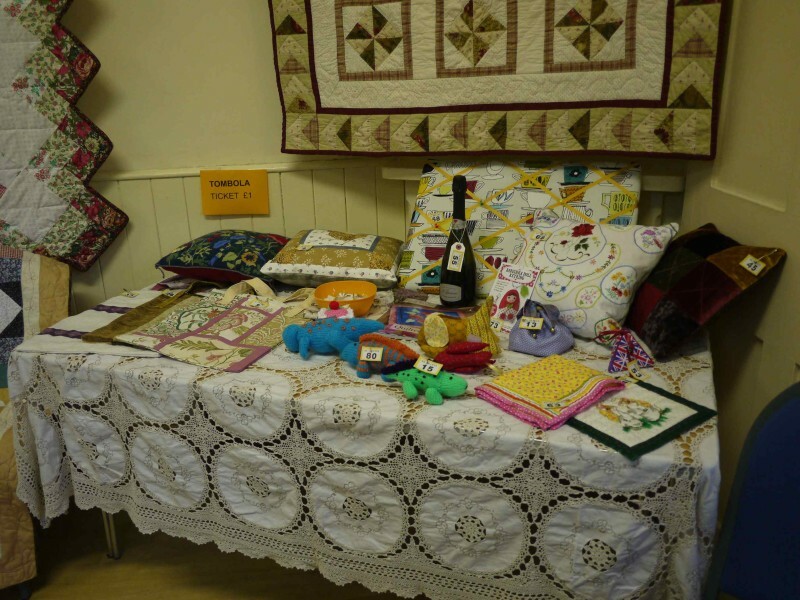 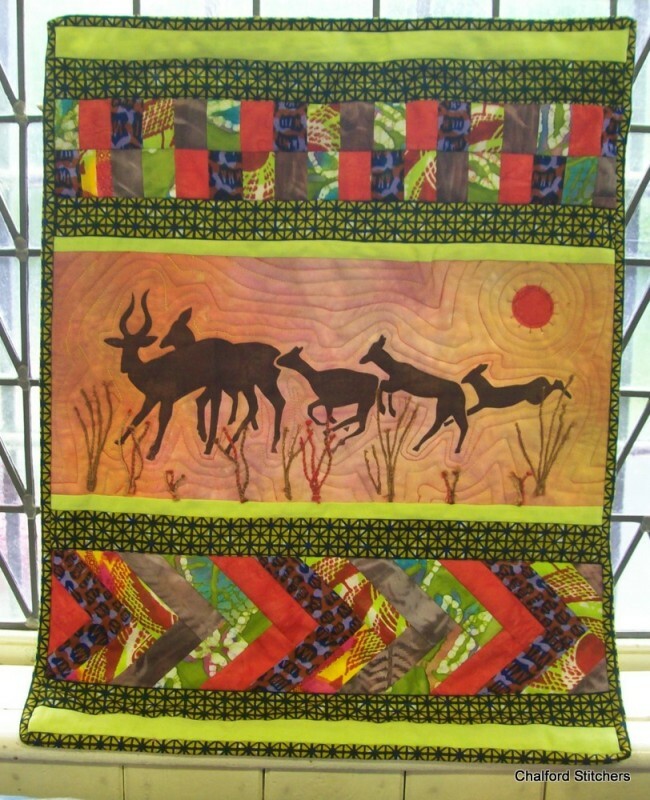 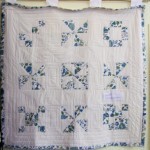 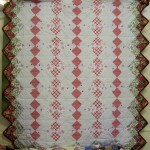 A first quilt, made by Toni from recycled duvet covers.